Every time I see a garden gate, I’m always curious as to what’s on the other side. 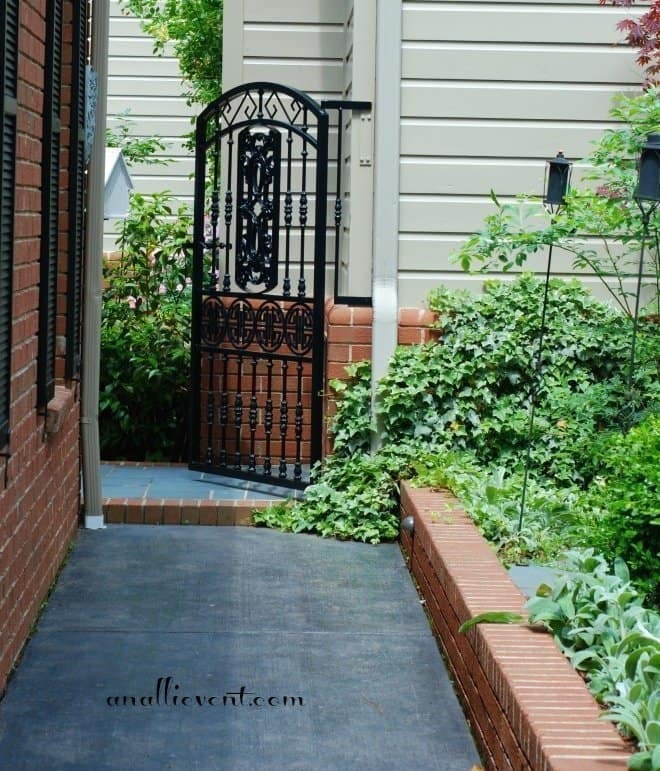 To me, a garden gate is an invitation to step inside and explore! 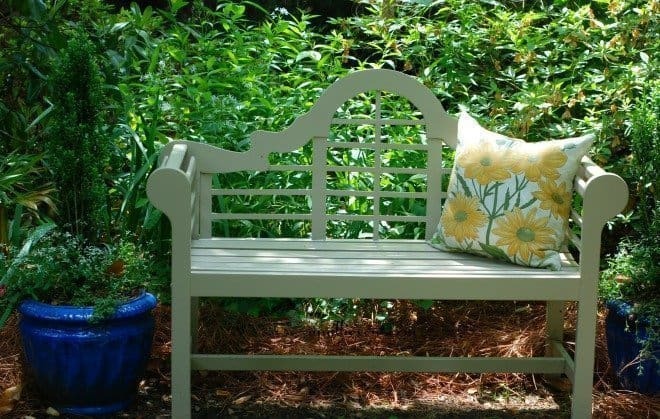 This wrought iron bench is a family heirloom, passed down from the great grandmother of the homeowner. I love bright and vivid colors in the spring and summer! 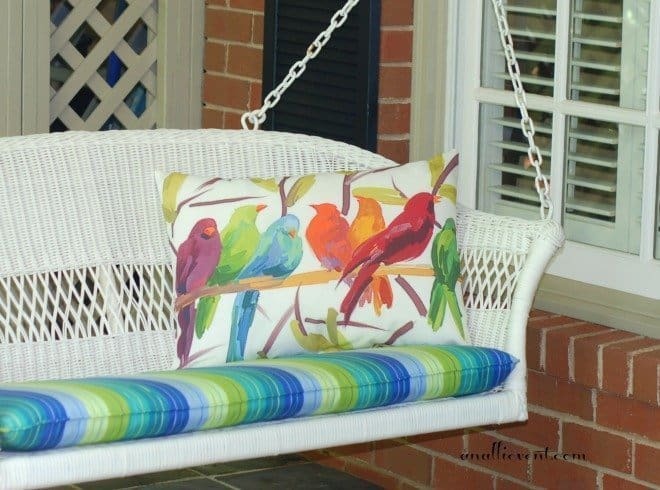 And I really want to add a swing to my front porch! 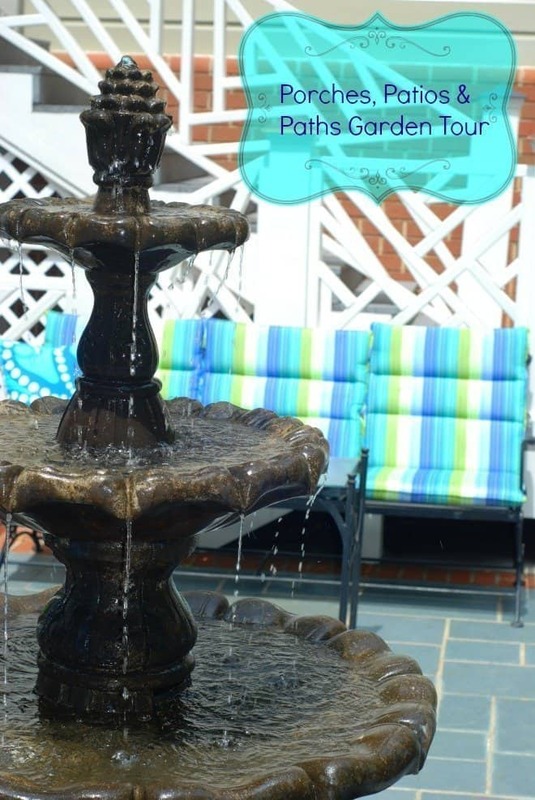 Next week will conclude the Porches, Patios & Paths Garden Tour! I thought so, too, Katherine! I love it!! Beautiful! 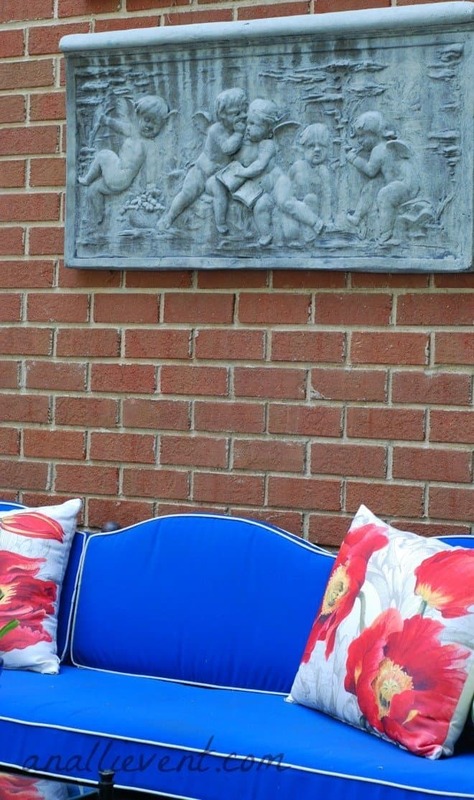 I’m completely inspired–my husband and I have been working on our outdoor area too. I’ve got a lot of new ideas from the garden tour, too. I love garden gates also and agree that they are beckoning us to enter! 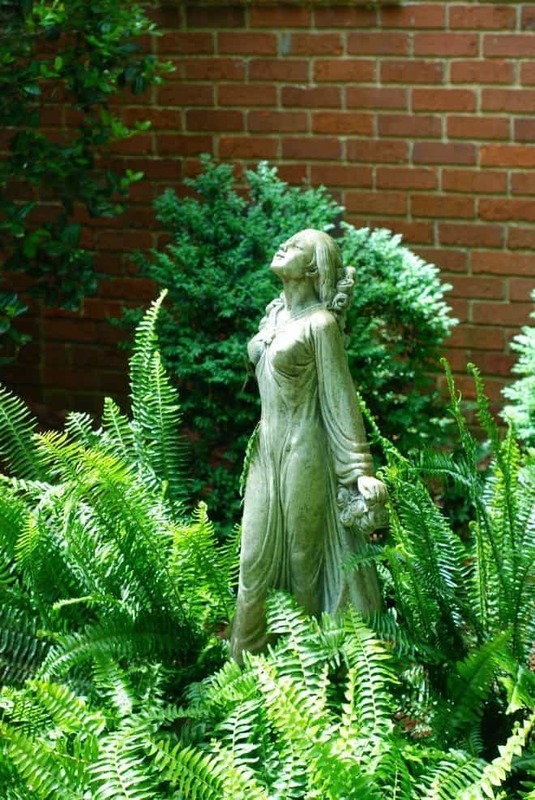 The Garden tour is chock full of great yard and garden (and porch) ideas! Next Thursday concludes the tour. I was hoping everyone would not get bored from six weeks of it, but I think it’s really been a hit. I’m so glad! Another beautiful porch! I really love the bold colors, especially the blue. I think this one is my favorite porch! I agree – the colors make this one amazing! That blue couch with piping is gorgeous! So pretty! 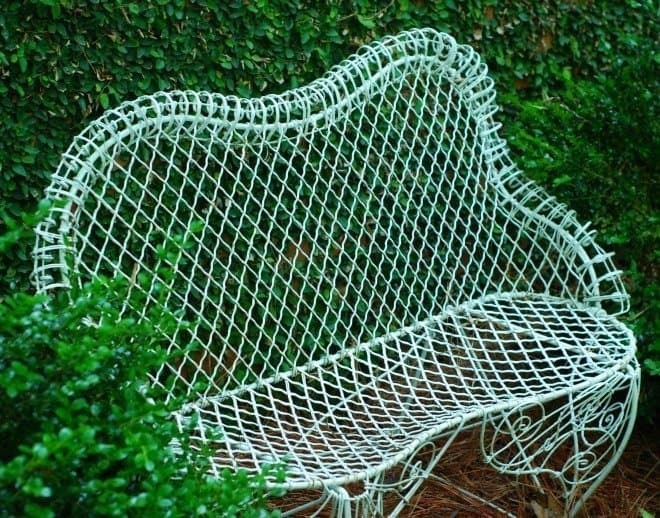 I absolutely LOVE that wrought iron bench! I know! I liked that it had been in the family for such a long time.